The focus of my research is basically in the field of cancer biology on three different areas (i) Identification and targeting of metastatic promoting factors, (ii) Targeting of tumor metabolism and (iii) Repolarization or reactivation of tumor-associated macrophages and TC cells by modulating tumor microenvironment. Keeping in view of above problem, the interest of my laboratory is to identify and target the crucial molecules associated with metastasis, metabolism and tumor microenvironment of cancer for designing novel therapeutic strategies. Worked as an Assistant Professor at Centre for Life Sciences, Central University of Punjab, Bhatinda. No YR, Lee SJ, Ajay Kumar, Yun CC. (2015) HIF1a-Induced by Lysophosphatidic Acid Is Stabilized via Interaction with MIF and CSN5. PLoS One. 10, e0137513. Impact factor: 3.234. 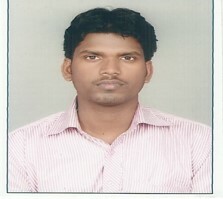 Yun CC, Ajay Kumar. (2015) Diverse roles of LPA signaling in the intestinal epithelium. Experimental Cell Research. 333, 201-207. Impact factor: 3.246. Ajay Kumar, Kant S, Singh SM. (2013) Targeting monocarboxylate transporter by a-cyano-4-hydroxycinnamate modulates apoptosis and cisplatin resistance of Colo205 cells: implication of altered cell survival regulation. Apoptosis. 18, 1574-1585. Impact factor: 3.685. Ajay Kumar, Kant S, Singh SM. (2013) Antitumor and chemosensitizing action of dichloroacetate implicates modulation of tumor microenvironment: a role of reorganized glucose metabolism, cell survival regulation and macrophage differentiation. Toxicology and Applied Pharmacology. 273, 196-208. Impact Factor: 3.705. Ajay Kumar, Kant S, Singh SM. (2013) a-cyano-4-hydroxycinnamate induces apoptosis in Dalton�s lymphoma cells: Role of altered cell survival regulatory mechanisms. Anticancer Drugs. 24, 158-171. Impact Factor: 1.784. Ajay Kumar, Kant S, Singh SM. (2012) Novel molecular mechanisms of antitumor action of dichloroacetate against T cell lymphoma: Implication of altered glucose metabolism, pH homeostasis and cell survival regulation. Chemico-biological Interactions. 199, 29-37. Impact factor: 2.577. Kant S, Ajay Kumar, Singh SM (2013) Tumor growth retardation and chemosensitizing action of fatty acid synthase inhibitor orlistat on T cell lymphoma: Implication of reconstituted tumor microenvironment and multidrug resistance phenotype. Biochimica et Biophysica Acta (BBA). 1840, 294-302. Impact factor: 4.381. Kant S, Ajay Kumar, Singh SM. (2012) Fatty acid synthase inhibitor orlistat induces apoptosis in T cell lymphoma: role of cell survival regulatory molecules. Biochimica et Biophysica Acta (BBA). 820, 1764-1773. Impact factor: 4.381. Kant S, Ajay Kumar, Singh SM. (2013) Myelopoietic efficacy of orlistat in murine hosts bearing T cell lymphoma: implication in macrophage differentiation and activation. PLoS One. 8, e82396. Impact factor: 3.234. Vishvakarma NK, Kumar A, Ajay Kumar, Kant S, Bharti AC, singh SM (2012) Myelopotentiating effect of curcumin in tumor-bearing host: Role of bone marrow resident macrophages. Toxicology and Applied Pharmacology. 263, 111-121. Impact Factor: 3.705. No YR, Lee SJ, Ajay Kumar, Yun CC. (2015) HIF1a-Induced by Lysophosphatidic Acid Is Stabilized via Interaction with MIF and CSN5. PLoS One. 10, e0137513.Impact factor: 3.234. Kant S, Ajay Kumar, Singh SM. (2014) Bicarbonate transport inhibitor SITS modulates pH homeostasis triggering apoptosis of Dalton's lymphoma: implication of novel molecular mechanisms. Molecular and Cellular Biochemistry. 397, 167-178. Impact factor: 2.393. Ajay Kumar, Kant S, Singh SM. (2012) Novel molecular mechanisms of antitumor action of dichloroacetate against T cell lymphoma: Implication of altered glucose metabolism, pH homeostasis and cell survival regulation. Chemico-biological Interactions. 199, 29-37. Impact factor: 2.57.